CHICAGO HEIGHTS—(ENEWSPF)—November 14, 2016. The Drama Group is pleased to present the riveting drama, Alabama Story, directed by Suzanne Ashlock. Performances will be held at The Drama Group Studio Theatre on December 9, 10,15, 16, 17 at 7:30 p.m. and matinees on December 11 and 18 at 2 p.m.
A gentle children’s book with an apparent hidden message stirs the passions of a segregationist senator and a no-nonsense state librarian in 1959 Montgomery, just as the civil rights movement is flowering. Inspired by true events, Alabama Story puts political foes, star-crossed childhood friends, and one feisty children’s author on the same page to conjure a Deep South of the Imagination. 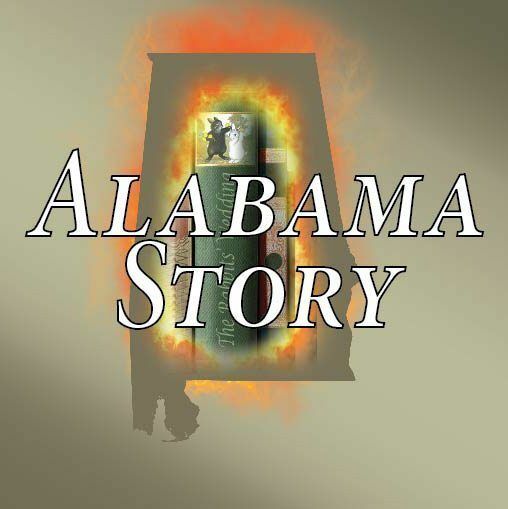 ‘Alabama Story’ was a finalist in the 2014 National Playwrights Conference of the Eugene O’Neill Theatre Center. As a Community Outreach Program, The Drama Group will be collecting children’s books from our audience members by offering a ticket incentive – buy one ticket and receive one ticket free with the donation of a new or gently used children’s book – for the Thursday, December 15, 2016 performance. Donations of all new and gently used children’s books will be accepted at The Drama Group Studio Building in Chicago Heights during “Tech Week” (December 4 – 7, 7:00-9:00pm) and throughout the run of the performances (December 9 – 18, 7:00 – 9:00pm and 1:30 – 4:00pm on Sundays) All Children’s books collected will be distributed to participating Elementary Schools in the surrounding communities.